He was very well supported in the betting market on the run up to the Ultima Handicap and the money looked well placed as he sat swinging on the bridle for the first 3/4 of the race. Everything was going to plan as Paul Townend sat motionless as they approached the 3rd last but Up For Review failed to take off properly and went straight through the top of the fence and nearly unshipped his rider. Townend clung on and had him back on the bridle as he came down the hill to the second last but that mistake took it's toll and he weakened out of it from that point on. He came home 8th also looking like a horse who didn't quite get home but, as a Grade 2 winner over hurdles with a 16 length fourth to Al Boum Photo as a novice chaser, he still looks incredibly well handicapped and I'll be watching him closely should he drop back in distance to contest a Handicap Chase before the end of the Season. The Close Brothers Novice Handicap Chase was a really rough race that was won impressively by A Plus Tard whose rider had him in the right place throughout to avoid the argy bargy going on behind. ROARING BULL had been in the rear for the early stages of the race and wasn't going particularly well but settled into a nice rhythm on the second circuit and was noted making nice headway coming round the bend before the open ditch, 4 from home. It was here that his race unraveled as he didn't take off and ploughed through the fence bringing him to a juddering halt. His rider gave him time to recover and had him back on the bridle by the time they met the third last and he was still going nicely coming down to two out. He then got involved in a bit of scrimmaging around the home turn and his jockey eased off on him from then on leaving him to pretty much come home in his own time. That was still good enough to pass a couple of weakening horses and finish in 6th. He had won his previous race by 14 lengths and I think there's still more to come from Gordon Elliot's 6yo. Alan Flemings 9yo has done well at past Festival's over both hurdles and fences having run 4th in the Martin Pipe in 2016 and 1st in the Close Brothers in 2017. He can now add an unlucky 9th in the Coral Cup to that record. He's been dropping down the handicap over hurdles recently and was quietly fancied in the betting market for this despite less than impressive form figures coming into the race of -8000. Nothing was going better than him at the top of the hill with his jockey seemingly sat with a tight rein but at both the third last and second last hurdles he got hampered and squeezed out, shuffling him back through the field. Under hands and heels between the last two flights he stayed on very nicely but couldn't get back amongst the leaders as they fought out the finish. He ran on strongly up the hill but was never going to get back into the race and came home 9th still looking like he had plenty left to give. He's been dropped again by the handicapper and I'll definitely be looking out for him in the big handicap hurdles before the end of the Season. He was bought from Germany after 1 win from 5 flat runs and was quite well fancied for last years Group 1 German Derby although he disappointed that day. Paul Nicholls now trains him and he's run eyecatching races in hot company on his only two starts to date over hurdles. He was pitched straight into Graded company on his first run over the smaller obstacles, when I noted him staying on nicely, behind Fusil Raffles in Kempton's Adonis hurdle and then his run as a 100/1 outsider in last weeks Triumph Hurdle reinforced my view that he's a winner in waiting. He raced in rear for much of the race and was one of two horses detached from the main field between the last two flights but he really got going from then on as he cut his way through the field before staying on well up the hill to come home in 6th. Connections may decide to preserve his novice status for next Season but should he re-appear soon he should have absolutely no problem picking up a race. The County Hurdle is always a fiercely competitive handicap and trying to win the race without a recent run is always going to be a tough ask but Countister, who hadn't raced since her 5th place finish in the Mares Novice Hurdle at the Festival 12 months previously, went down fighting when finishing an excellent third. Barry Geraghty bided his time going nicely in midfield before making his move at the second last and began scything his way through the big field under hands and heels riding to jump the last just a length behind the eventual winner. She couldn't match the winners pace up the hill but ran on strongly all the way to the line and just got done for second on the line. For a horse that hadn't run for a year this was a cracking effort and if she heads for the Scottish Champion Hurdle at Ayr next month I'll be backing her to go close. 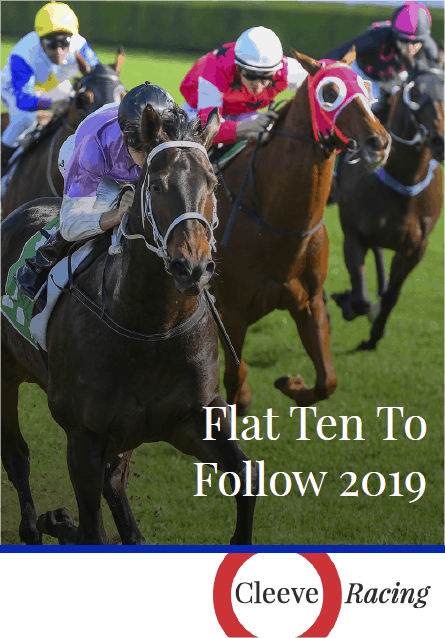 The 2019 Festival Trends Season kicks off this Saturday with The Lincoln and then hits a very busy patch through April with Aintree and the last few big NH meetings, the start of the Flat proper with the Craven meeting and the countdown to Royal Ascot with the Highway 50 Service.